Two-year-old Jonah will get the chance to stake his autumn carnival claims at Rosehill after connections rejigged plans for the colt to make a flying visit to Melbourne. The youngster put the writing on the wall at his debut when he made a race of it with unbeaten juvenile Time To Reign, finishing second and less than a length from one of the early Golden Slipper fancies. Co-trainers Peter and Paul Snowden contemplated sending Jonah to Melbourne last weekend for a race on Sandown Guineas day but when he drew poorly they kept him in Sydney for Saturday’s Golden Gift (1100m). 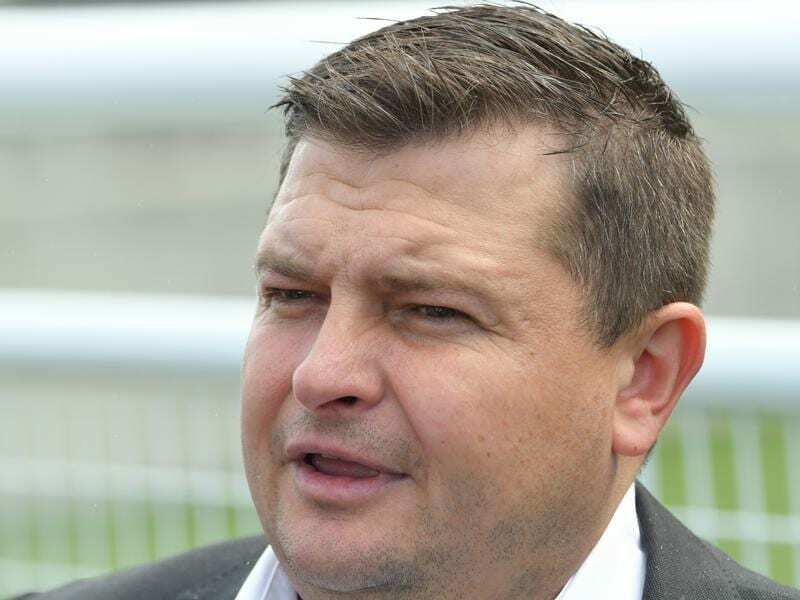 “The thought was he was going to run in the Merson Cooper last week at Sandown, but we drew ordinary and it’s probably not fair to take an inexperienced horse down like that. If he drew well we would have taken him,” Paul Snowden said. The colt has has pleased the stable since his debut earlier this month and Snowden says Jonah will take natural improvement from the run. He believes that race experience will prove all-important and the lack of it was what cost him victory against Time To Reign. “He got beaten three-parts of a length and once he popped out at the top of the straight and made that three-wide run on his own, it’s a daunting thing for a young horse to do and I think late that just told,” Snowden said. Jonah will be spelled after the Rosehill assignment with the Snowdens eyeing an autumn carnival campaign. The stable will also welcome back Smartedge in the ATC Tipping Competition Handicap (1300m), while Onslaught and Island Missile clash in the TAB.com.au Handicap (1200m). A first-up winner, Smartedge has three victories from 12 starts and Snowden says the late maturer has furnished during his break. Island Missile is also proven fresh, while an ideal barrier draw in gate two is key for Onslaught. “The barrier draw is massive for this horse. He likes to be snookered away and produced late,” Snowden said of Onslaught. Temprado and Napoleon Solo round out the Snowdens’ Rosehill team.